Don’t you find it so mesmerizing? I knew I wanted to do something slightly different from just slapping on one coat of glitter on top of a creme color. So I had decided to do some sort of a reverse glitter gradient instead. 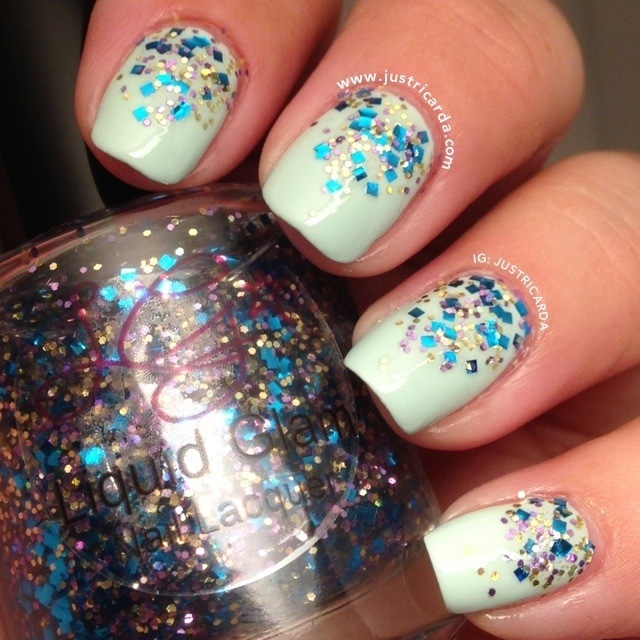 As shown in pictures, these are two coats of Butter London’s Fiver topped off with1-2 layers of Night Life. I used the cosmetic sponge method to do the reverse glitter gradient. Do you like it? I hope so. Here are some close ups for a better look. Would I recommend this? Yes! I give this 4.5 out of 5 stars. The formula is fantastic! I didn’t have any issues with glitter at all (no glitter fishing, no clumping, etc). I cannot wait to use Night Life again in a jelly sandwich mani. I am also curious about adding a matte top coat. 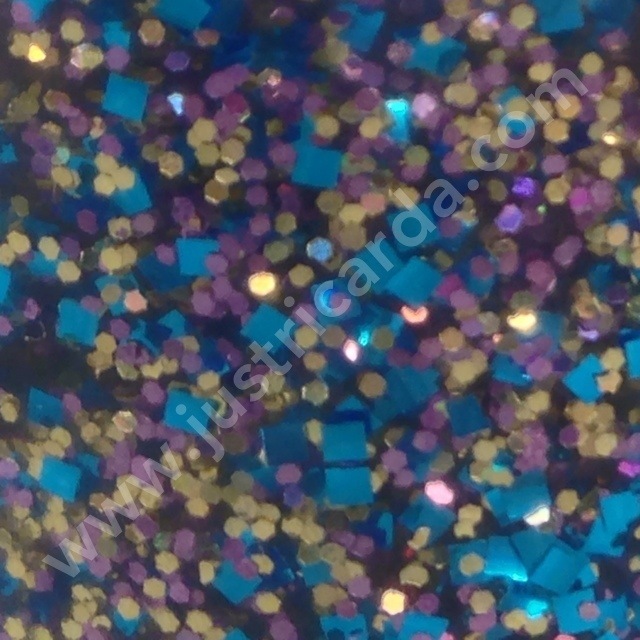 With glitter polish, there’s endless possibilities especially with the stunning Night Life. Please be sure to like her Facebook page at https://www.facebook.com/pages/Liquid-Glam-Lacquer/494693457222686 and to follow her on Instagram @liquidglamlacquer for updates and news!